Bidvertiser is a popular PPC, CPM & CPA based ad network helping publishers to make money from clicks and conversions. You get paid for every visitor that clicks on your ad, and earn an extra revenue if the click turns into conversion. Their goal is to enable you to make maximum revenue from your advertising space, by letting advertisers bid on your advertising space. PPC + CPA can earn you more money. Easy approval for website with decent number of visitors. Different ads formats/sizes for publishers. Spam ads are seen sometimes. Low CPM rates for some countries. It works on advertisers bidding on your ad space. 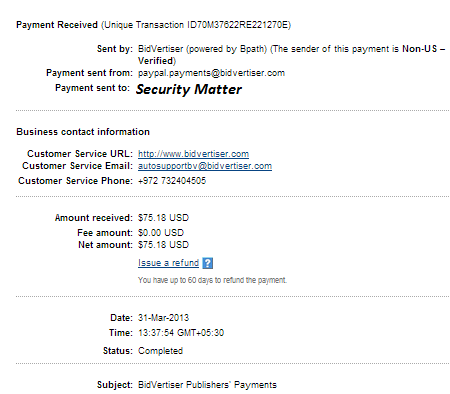 They are supposed to pay me at 31st july 2013 via western union. but they din’t, Iam sad about bidvertiser. also they are not answering my emails , support is quite.And they extended my payment date to next month i.e 31st august.. thats ridiculus. i think i should switch to some alternative to bidvertiser.  I’m a very new publisher of Bidvertiser ads right now, but I have been watching the ads that are served on my page, and every one of them – EVERY SINGLE ONE – is a “Download Something” ad. Which means it is a malware-filled spammy toolbar of some useless value. I was hoping to see ads that actually link to useful websites, you know, things that people might NEED. Nobody needs or wants to “Download a Video Player” so I get usually zero clicks every month. Terrible low rates and many negative feedbacks.